Have you heard of IBS? 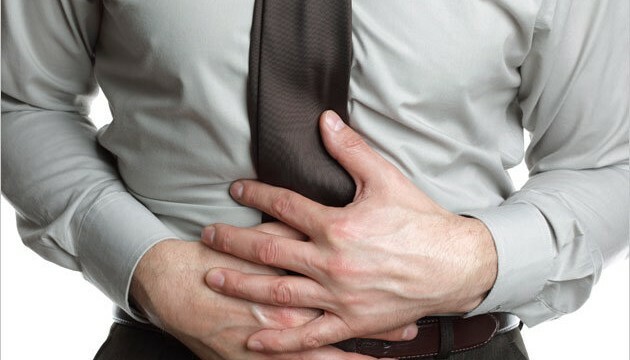 If you haven’t, this stands for Irritable Bowel Syndrome, and it is a condition which affects many more people than you may realise; in fact, you might be suffering from it without a firm diagnosis. IBS is a life-long condition, which basically means there is no total cure, and once you are diagnosed with it then you’re stuck with it. Now, ‘stuck with it’ sounds rather dramatic, but the great news here is that there are many ways to manage the condition, reduce the severity and frequency of attacks, and live a life which is much less impacted by the sometimes embarrassing and distressing symptoms which go alongside it. Here at Neurobalance we see and treat countless individuals with IBS, whether it was diagnosed at the time of the first consultation or afterwards. Our Brookvale office is open to help residents worried about symptoms and attacks, offering valuable advice on areas such as lifestyle and diet, as well as holistic treatments on offer, under the watchful eye of our experience chiropractor. IBS affects twice as many women as men, and the reasons for that are large ranging, however it could be because IBS is exacerbated by stress, and today’s stressful effects of life have a lot to answer for; we often feel like we need to wear several hats and juggle situations, and this can go a long way towards letting IBS creep into life. On top of this, the condition tends to comes to light between the ages of 20 and 30, when we begin to experience the more stressful elements of life. IBS is a totally individual condition, in that it affects every single person slightly differently to the next. Bouts tend to be periodic, i.e. they come on during those stressful times we were talking about, or as a response to a food which your body doesn’t particularly tolerate too well, and then goes away again. Symptoms can generally be listed as bloating, stomach cramps, a change between constipation and diarrhoea, excessive flatulence, and a feeling of not completely emptying the bowels. Sufferers can feel uncomfortable and generally lethargic during a bout. So, how can you manage IBS? Valuable lifestyle and dietary advice goes a long way to helping reduce IBS, and learning to relax and kick stress out of your life is a good starting point, as well as making sure you get enough exercise. In terms of diet, upping water intake, increasing fibre intake, making sure there is enough fresh fruit and veg in your diet, and getting prebiotics through diet or supplementation. It’s also important to identify whether IBS is caused by a particular food, and in that case an elimination diet, starting with dairy, is undergone. Herbal remedies have also been shown to be highly effective in helping IBS, reducing cramps, alleviating pain, helping with stress, and soothing the digestive tract, whilst also being a gentle laxative and reducing inflammation. As you can see, there is much available to help with the condition, so if you are at all worried about your symptoms and the effect IBS has on your life, don’t hesitate to call the practice now on 02 9938 5456 to arrange an appointment, and look forward to a much smoother life as a result. This entry was posted in Health and tagged IBS, Irritable Bowel Syndrome.